The K&N GT air intake improves horsepower and acceleration, installs simply and does not require a computer retune. Improves Horsepower. 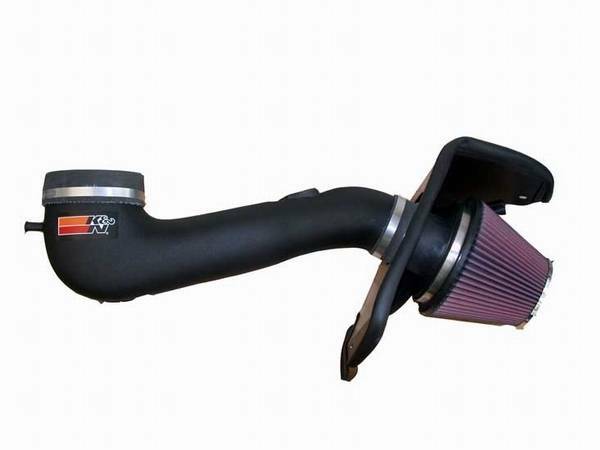 The K&N "Fuel Injection Performance Kit" (FIPK for short) Air Intake kit completely replaces your stock 2005-2009 GT Mustangs restrictive stock factory air box and paper filter with a high flow K&N filter assembly and intake tube for a noticeable increase in horsepower and acceleration while still providing excellent filtration.